Vaco-vegam means the urge to speak. This was the topic of discussion in our morning Sadhana Class at TKG Academy last week, as older classes study the first verse of the Nectar of Instruction. “Why would we want to control the urge to speak? When should one DEFINITELY TALK? How to speak pleasantly and for the benefit of others?” Eye-opening discussions ranged from “I won’t interrupt my mom on the phone.” to “What if I hurt someone with my words? !” to how to discuss issues that arise naturally in relationships. Was it not such a lovely coincidence that His Holiness Giriraj Swami had given an eye-opening lecture on this very same topic during the recent Kirtan50 festival in Dallas? The few students who had attended quoted his words. Surprisingly, however, Sri Krishna had a special surprise in store for us. 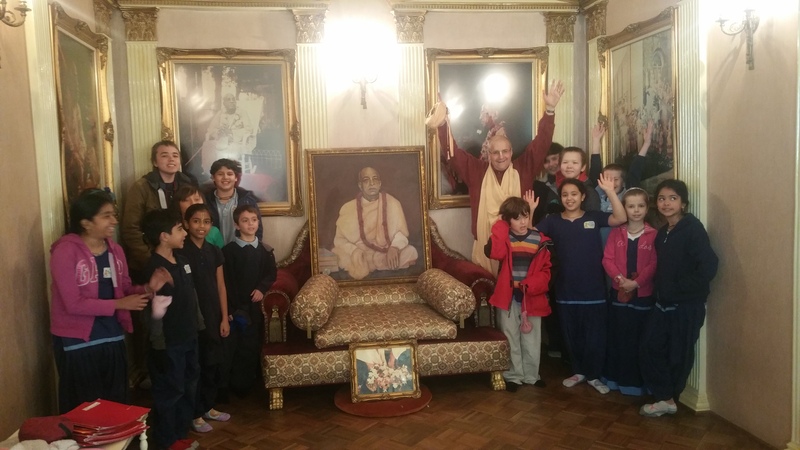 That very same Swami, His Holiness Giriraj Maharaj, had agreed to a private darshan with all of us in his quarters! Who better to explain the meaning behind such an important principle? His Holiness Giriraj Maharaj, world-renowned for his very careful and deliberate speech, for his total control of these urges, and for his gentle, pleasing demeanor. 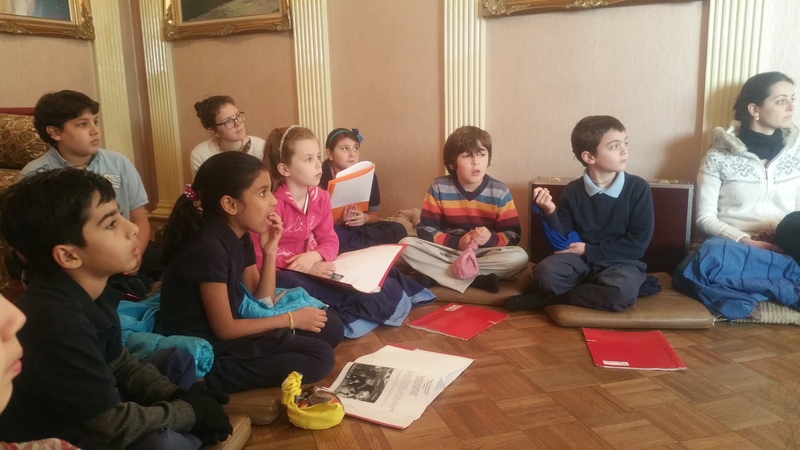 The excitement in the air was palpable when they heard! “yays”, fist-bumps, and delighted shrieks ensued. 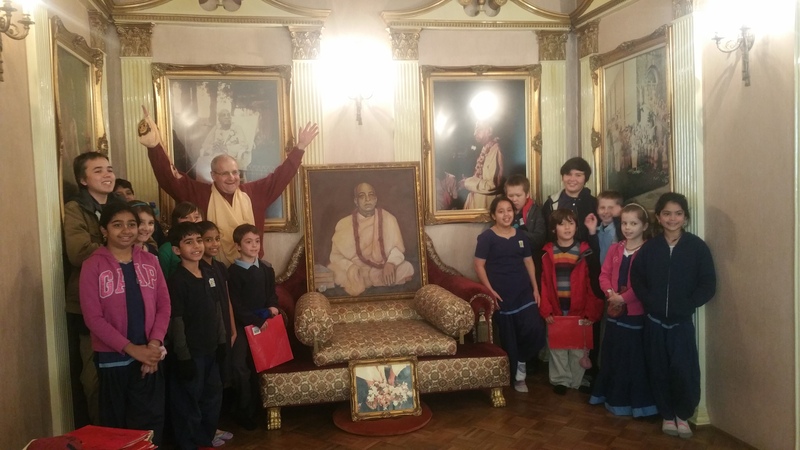 So in early January, 20 students filed into Srila Prabhupada’s ornate quarters. Soon, Maharaj arrived. 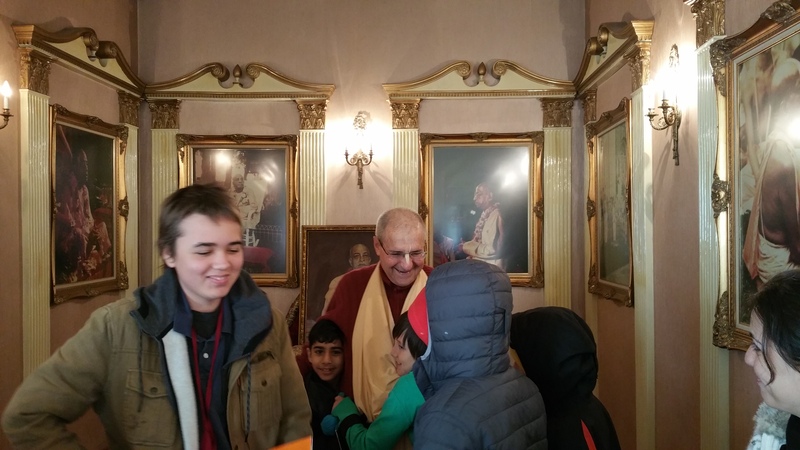 The students chanted their japa alongside Maharaja’s peaceful chanting, voices uniting, reminiscent of Vedic times, when the guru would infuse young learners with his spiritual powers. After they recited Nectar of Instruction verses, he asked, “Who and what should we speak about?” One by one, they answered; so many Krishna-related topics to speak of! He reminded us of avoiding circumstances where the urges become more difficult to control; of offering everything we have, or even want, in the service of Krishna. With the words of the pure devotee come the potency to follow those words. We prayed that we may work to conquer this ‘vaco-vegam’. The 45 minutes raced by too fast. “Can we stay here with him all day?” one boy asked. He verbalized what was in everyone’s heart. At the end, it was group picture time. Have you ever seen a group of 20 kids rushing to one small spot? Everyone wanted to stand right next to him! What to do? Seeing the predicament, he lovingly said he would take two pics, moving from one group of children to the other for the second shot. 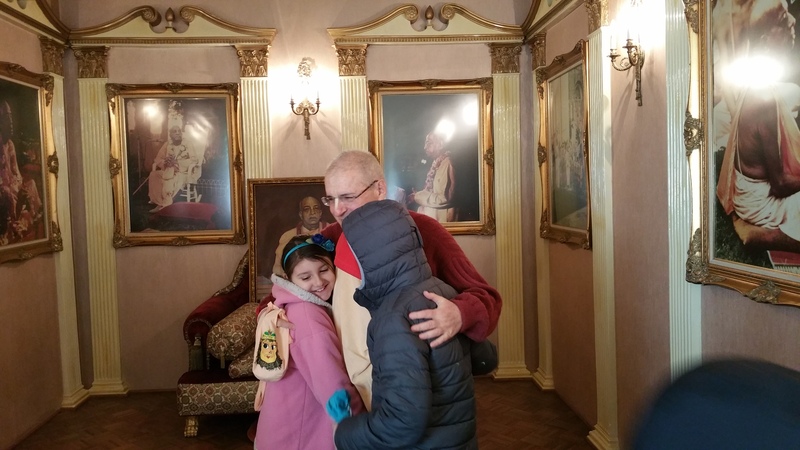 As they left, he gave hugs and blessings. We can’t wait for him to come back. Thank you, dear Giriraj Maharaj!